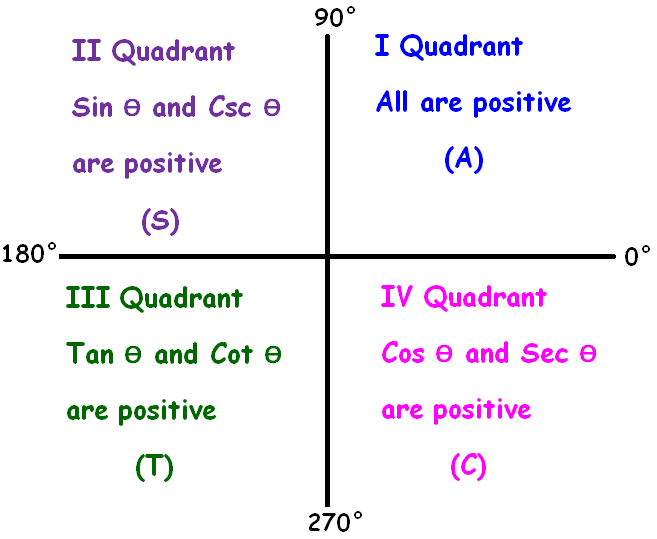 About "All Sin Tan Cos rule"
All Sin Tan Cos rule helps us to evaluate different trigonometric ratios in different quadrants. The "all sin tan cos rule" can be remembered easily using the following phrases. 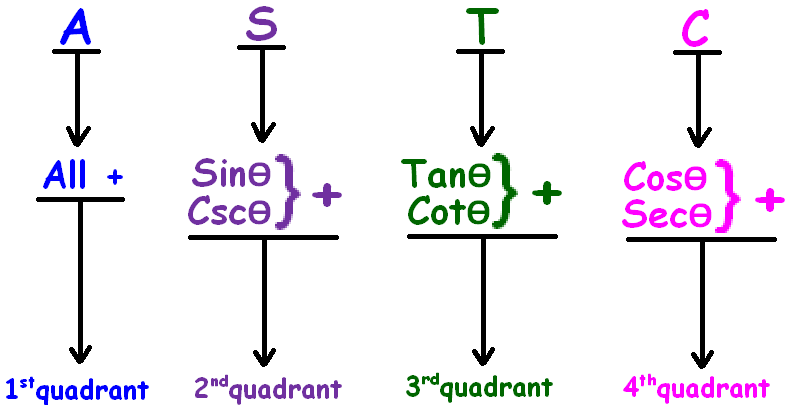 "All Sin Tan Cos rule" is also known as ASTC formula in trigonometry. Evaluation of trigonometric ratios using "All Sin Tan Cos rule"
Let us look at the next problem on "All Sin Tan Cos rule"
After having gone through the stuff given above, we hope that the students would have understood "All Sin Tan Cos rule"
Apart from "All Sin Tan Cos rule", if you need any other stuff in math, please use our google custom search here.